Since all the bracelets are handmade, each flower is different, so we can not make two exactly the same bracelet. Every bracelet is a surprise. The Tree has been a symbol for humans throughout our time, spanning histories, geographies, religions and mythologies. It is a symbol of the interconnections of all life, reaching out to the sky with its branches and down into the Earth with its roots. High light-transparent wooden bracelet with environmentally friendly resin, built-in real flowers, and wood, resin tightly wrapped in wood and dried flowers, this design is inspired by amber, wood and flowers are the products of nature, put this The concept has been introduced into the bracelet, adding a sense of weight and memory to the purely dried flower bracelet. Different angles can see different effects. It is also the first time that a combination of different materials has been made, and the effect of wearing it is very amazing. We believe that simple wooden bracelet creates a chance to celebrate life. We use materials sourced in an ecologically responsible fashion, and treat each wood bangle with an artisan care. 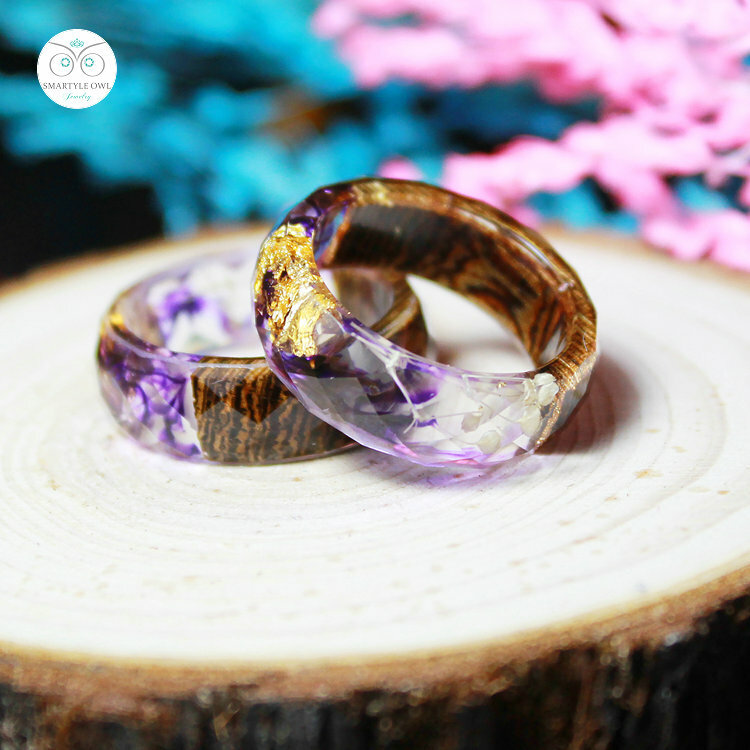 If you are a fan of jewelry then you must have one of these special wooden bangles with miniature worlds hidden within. They are made by the jewelry store SmartyleOwl and they will leave you spellbound. The collection includes 16 different ‘bangles worlds’ and one is more beautiful than the other. Here is a selection of a few that left us speechless. Very beautiful and such a well made piece!